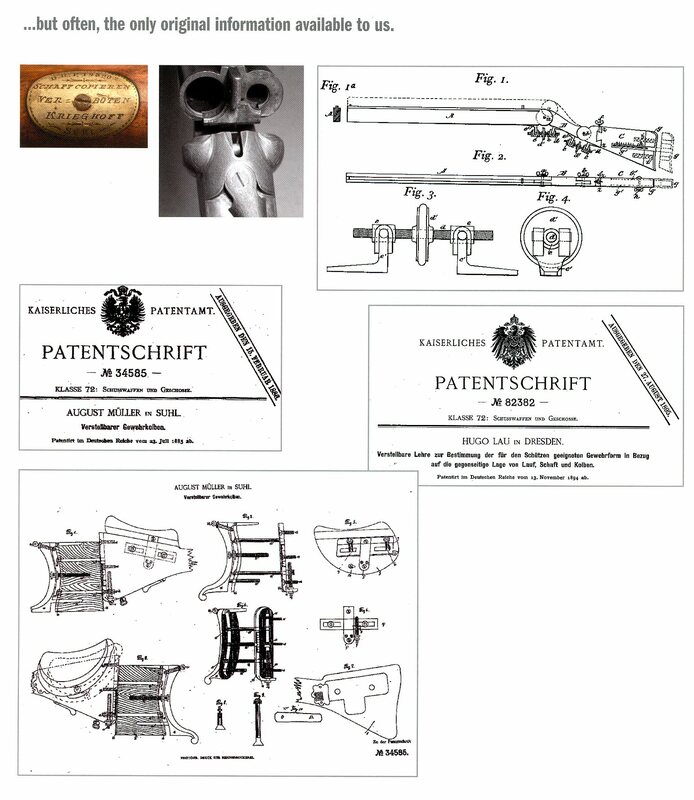 To view a patent click Here to go to the German Patent Search page and use the given number to download it. This list is undoubtedly not complete and more patents will be added as they become known to me (Larry B. Schuknecht). I wish to acknowledge and thank Prof. Doc. Martin Moog for making his book Die Jagdwaffenpatente in Deutschland von 1877-1920 available to me. DE826 Von Dreyse, Sommerda- Aug. 10, 1877- ? DE2342 George Bergen, Hannover-Nov. 21-1877-? DE3540 A. Schilling, Suhl- Jan. 16, 1879 ? 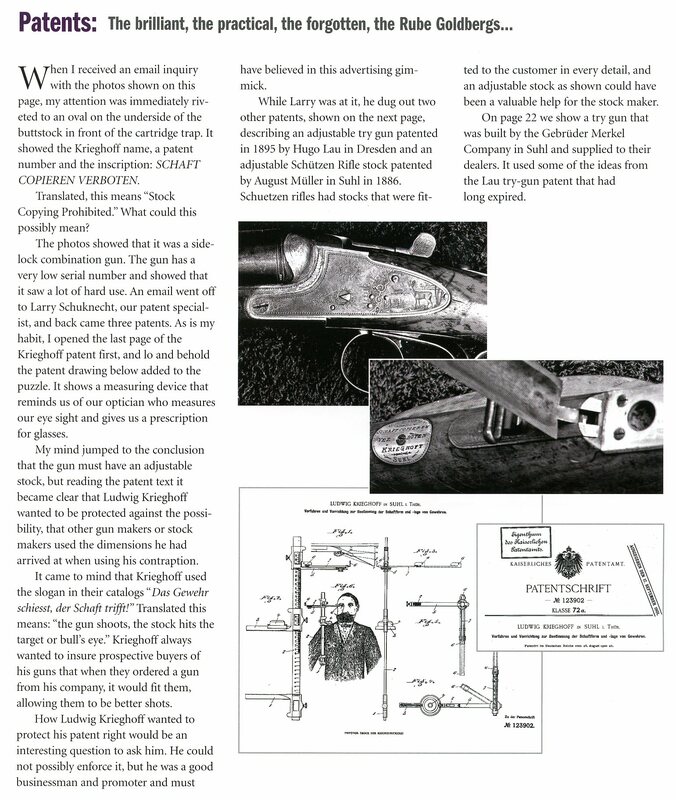 DE70868 Thieme & Schlegelmilch, Suhl-Nov. 9, 1892- Lock Mech. DE72583 J. Romer, Suhl- Oct. 14, 1892- Hammerless Under Lever S x S.
DE99218 H. Leue, Berlin- Sept. 14, 1898- Single Trigger Mech. DE130206 Franz Jaeger, Rampitz & Carl Bittiner, New York- April 29, 1902- Single Trigger Mech. DE386369 Jakob Romer, Suhl- Dec. 18, 1923- Hammerless Cocking Mech.